'Just Breathe' is a mass mediation and mindfulness event at the British Museum. 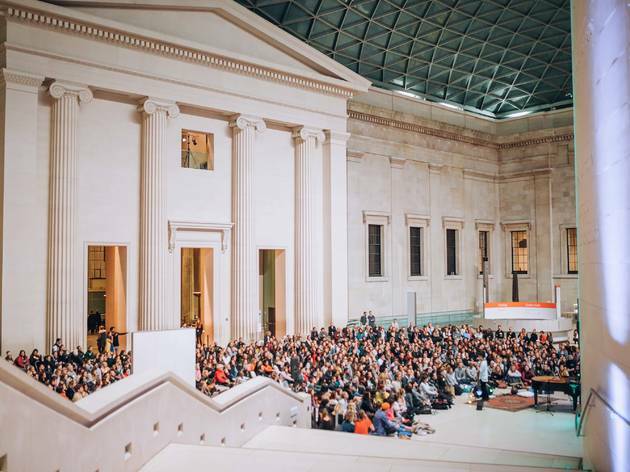 Around 750 people congregated under the beautiful glass roof over the museum’s Great Court for the last gathering back in March hosted by meditator, author and global yogi, Michael James Wong. This time Michael will be leading zen-seekers on an immersive experience through the Collections of the World and Enlightenment galleries at Museum. Find out more here.